Generally cloudy. Slight chance of a rain shower. High 52F. Winds N at 10 to 15 mph.. Some clouds this evening will give way to mainly clear skies overnight. Low 36F. Winds NNW at 10 to 15 mph. 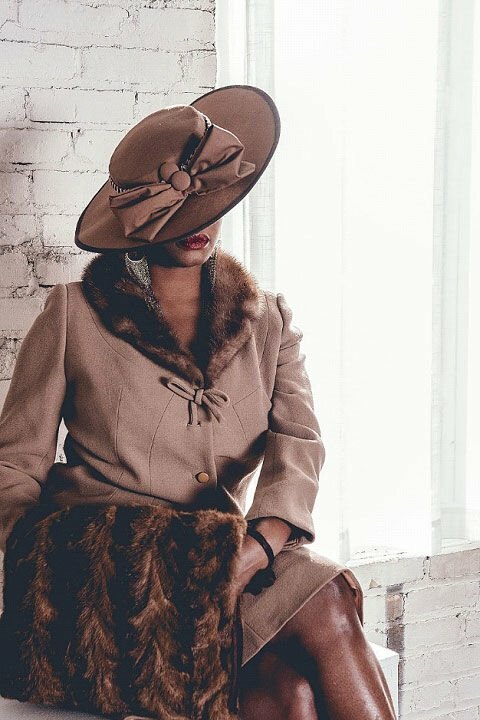 Lasha Raddatz dons an Angie’s Hats original with additional wardrobe by Autumn's Vintage and makeup by Shelly Jones. 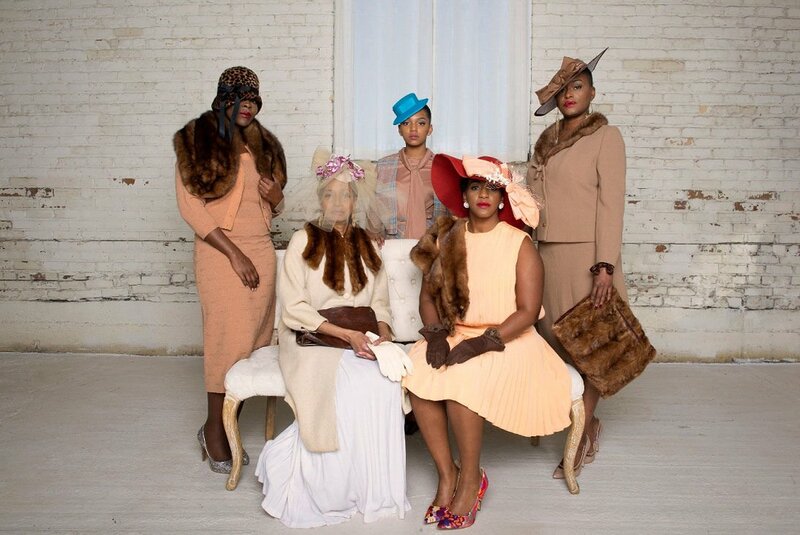 (Left to right) Ravesha Harris, Monique Cullars-Doty, Janae Leibel, Chaz Sandifer and Lasha Raddatz sporting unique creations designed by Angie Hall Sandifer of Angie’s Hats. The hats are complimented by outfits from Autumn’s Vintage with makeup by Shelly Jones. Since 2006 Angie Hall Sandifer has been creating fashionable unique designer hats from her studio in Lowertown St. Paul. The designer has created hats for the Kentucky Derby at Churchill Downs, The Royal Ascot in England as well as for local Derby parties. She has created for brides and bridal parties in Europe and the U.S. This Black History Month we celebrate one of our own entrepreneurs making history, Angie Hall Sandifer of Angie’s Hats, www.angieshats.com, (651) 208-4442.